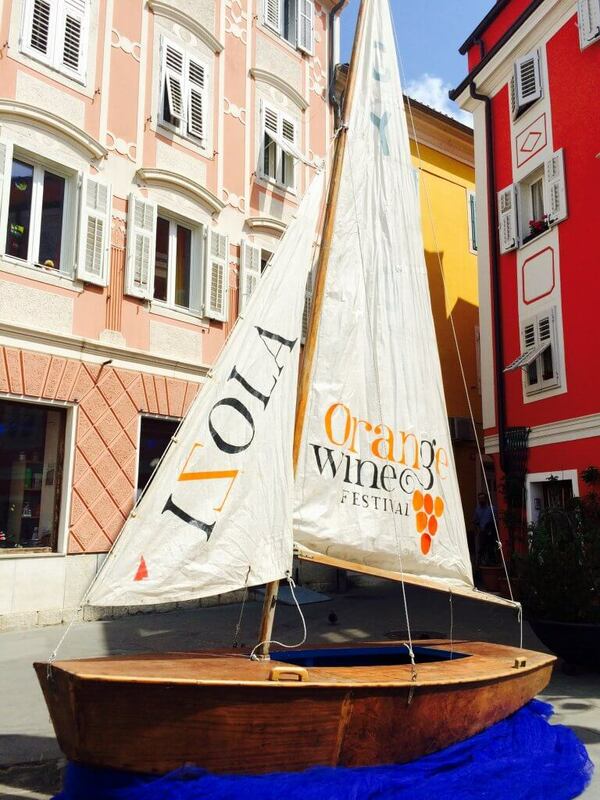 Last Friday, April 24th, the Orange Wine Festival took place in the picturesque setting of Izola. As now, already traditionally, the event took place last Friday in April in the city center, precisely at the Manzioli square with the opening ceremony at the church of St. Mary Haliaetum. The priest took the occasion to offer the blessing to the orange wines and all the new wine to come this year. Orange wine is the fourth wine color. Differentiating itself from the white wines in its production. If rose is a red wine made on the principles of the white wine production, than orange is the white wine produced as a red wine. Its longer maceration on the grapes is the key to the intense orange color and a deeper and richer taste. Back in the days this was the only way that the white wine was produced in our region. This kind of wine production also brings to attention the whole process, from the vine to the wine, which insists in a sustainable cultivation and production, Not harming the natural environment and avoid all non natural approaches. The festival did evolve from the first edition. This year more than 60 wine producers from around the world were present. The location of the event expanded to two locations. In between the tastings there was a vast buffet, where local delicacies were presented. From the famous Fonda Aquaculture to the fusion cuisine of Rizibizi restaurant and other known Slovenian restaurants. Visiting Orange Wine Festival in its unique ambient of Izola offers a possibility to taste the variety of orange wines that are produced in the wider region and around the world. This opens a larger window to the personal knowledge of the orange colors of wine. And not to let out the Glass, it was all about the glass again. This time nicely dressed in an orange coat/necklace had a hard job, to take a sip at each station. Jumping from one producer to another, the only real break was by the food stations. But summarizing the event it is a wonderful experience to immerse and getting to know the heritage of the nature and its produce made by the brave and clever wine makers.